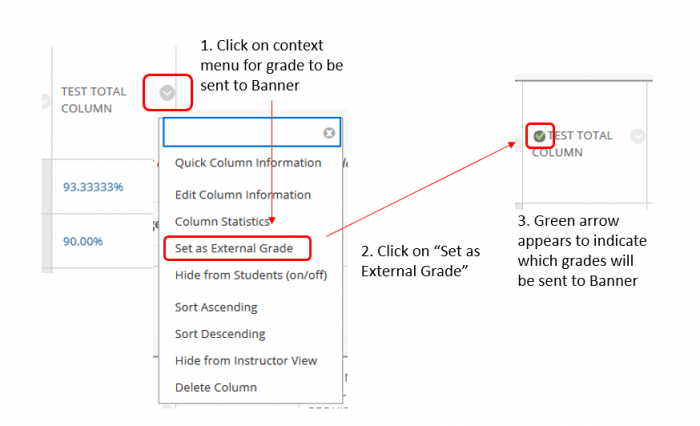 At the beginning of Summer term 2016 we introduced a new grading workflow that allowed instructors to submit grades from Blackboard directly to Banner. Our hope is that eventually we will no longer need the grade submission tool in LeopardWeb that is so painful to many instructors. As you are probably aware, this implementation has not been without problems but we’ve worked out most of the bugs in our previous workflows and responded to requests for a simpler process for those who choose to keep grades in a system other than Blackboard. If you don’t use Blackboard for grades: simply bypass the Blackboard Grade Center and proceed to the Banner Grade Submit link under course tools in the Control Panel for your course. Select Midterm or Final Grades. You should see a list of students appear. Next to each student’s name there will be a box for you to type in the letter grade that the student will receive. Enter all the student grades and click the Submit Grades button at the bottom of the page. You should see a message indicating successful submission and your grades are on their way to Banner. NOTE: Occasionally we see instances where the list of students does not populate. Please let us know about this so we can continue to investigate with the vendor. A workaround that solves the problem is to create a group in the course and add all the students to the group. Selecting the group from the “Visible Groups” menu populates the student list. If you use Blackboard to track and calculate grades: the process is easy. Was your course copied? Check to make sure old schemas are not in your course. See instructions for cleaning up unused schemas. NOTE: If you teach a graduate-level course you will need to manually adjust grades below a B- to F in accordance with the Wentworth Graduate Grade Schema. The Banner Grade Submit tool only recognizes one grade schema and we have selected the Undergraduate schema as the one which applies to the most courses. LIT is happy to help you with this process, stop by Annex Central 205, email lit@wit.edu, or call 617-989-5428. For those that want to get a head start, we’ve prepared Full Illustrated instructions for using Banner Grade Submit.. 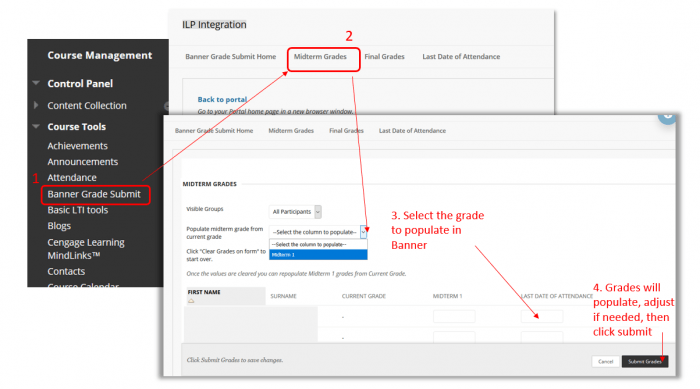 In addition, here’s a Video showing how to submit grades with Banner Grade Submit. Also visit a blog summarizing grade submission.